This has been a curious season of Black Lightning. 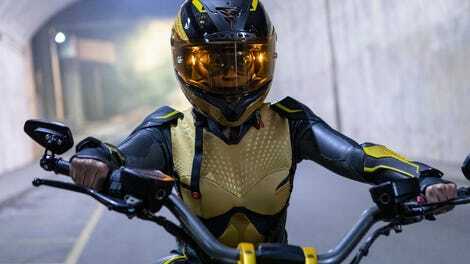 Whether it’s the extended episode order or simply a sophomore slump, the show often struggled to reach the heights of its first season, where solid character motivations and stories that deftly tackled social issues rounded out an otherwise familiar story of superhero origins. Instead, storylines were introduced with full force before petering out—don’t even get me started on Grace Choi and whatever the hell Black Lighnting was trying to do with that—stumbling towards lackluster conclusions. On paper, the season finale seems to have all the necessary ingredients for something exciting and compelling. Evil forces, in both Tobias Whale and the Markovian government, are after the pods filled with metahumans, threatening to burn Freeland to the ground in an attempt to build an army that’s superpowered and unstoppable. That’s some high stakes, but the episode doesn’t handle it too well. The threat is more said than seen, and that leaves the finale lacking some serious urgency. 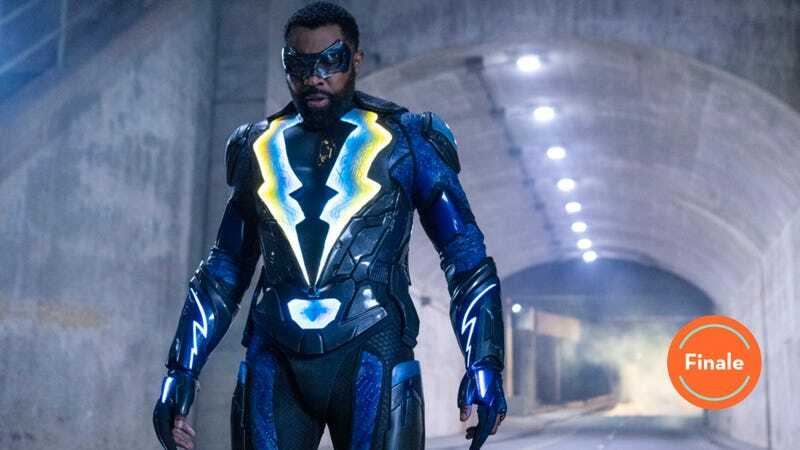 That can be okay, because what Black Lightning does best is use the superhero show plotting to tell interesting stories about family and community. The best part of this season has undoubtedly been Jenn’s journey. She’s reckoned with her powers, how to control them, and what it means to have them and use them for good. She’s struggled to comprehend what this means for her future, and Khalil’s death at the hands of Tobias pushed her to a point where she could cross a line and kill someone in cold blood, against the strict order of her father. It’s not a unique origin story by any means, but the fact that both Jefferson and Anissa are comfortable with their powers, the latter labelled an “overachiever” by Jenn for essentially having two superhero identities, adds a little depth to the conflict. Jenn not only has to figure out how she’ll handle the responsibility of her powers, but do so within the vacuum of a superhero family. In the season finale, she shines. The writing is a little rote, with too many scenes showing Jenn begging to be included in the action, and stubbornly saying she’ll do so with or without permission, and the climax with Tobias is rather predictable, but it feels like the right follow through. Jenn comes up against the true power she has, the one that allows her to take a life if she wants, and learns to cope with another kind of justice instead. Again, not unique, but for this specific character arc it works. As for the rest of the finale, it’s a bit of a mess. It’s a case of having too many things to wrap up in a single hour of television, so every beat feels rushed. When T0bias releases the pod metahumans into the world, it’s meant to be a disastrous, dangerous moment, but just a scene or two later the whole threat is minimized. Jefferson and Anissa are only briefly in danger as Black Lightning and Thunder, their back alley throwdown an anticlimactic end to what’s supposed to feel like a life or death moment. The trouble, I think, is that this whole season has been building to its final scene. In that moment, we not only learn that Khalil is alive (well, frozen along with two other metahumans we’ve seen before) and in the custody of Odell, but that there’s a war on the way. The Markovians have Dr. Jace now, and that means they can activate their massive metahuman army, and come to attack Freeland because it’s the place with the second largest stash of metas. That’s an incredibly promising story to tell, but it really seems like it’s a moment that should have come sooner. Now that we know this is where the season was leading, the sluggishness of the previous episodes makes more sense. It’s as if the show knew its destination, but didn’t have enough story for the journey. So, we get random appearances from Grace Choi, subplots with Tobias’ minions that go nowhere, and Lala popping up again just to be put in his place again. Never mind the wasted confrontation with Principal Lowry, which saw Jefferson turn his back on the students for some reason—the given reason is the community needs Black Lightning more, but that decisions doesn’t line up with what we know about Jefferson; he wouldn’t leave those kids with that racist, oppressive authority figure. All those plot threads that fizzled out make sense in the context of a season that wanted to land one very big moment in its final minutes. It’s too bad it sacrificed the smaller moments along the way.